Hodges Badge has been a member of NEMOA (New England Mail Order Association) for many years. Next month, the catalog retailing group is having their annual conference just down the road, in Newport. And we have volunteered to host over 200 visitors on a factory tour. 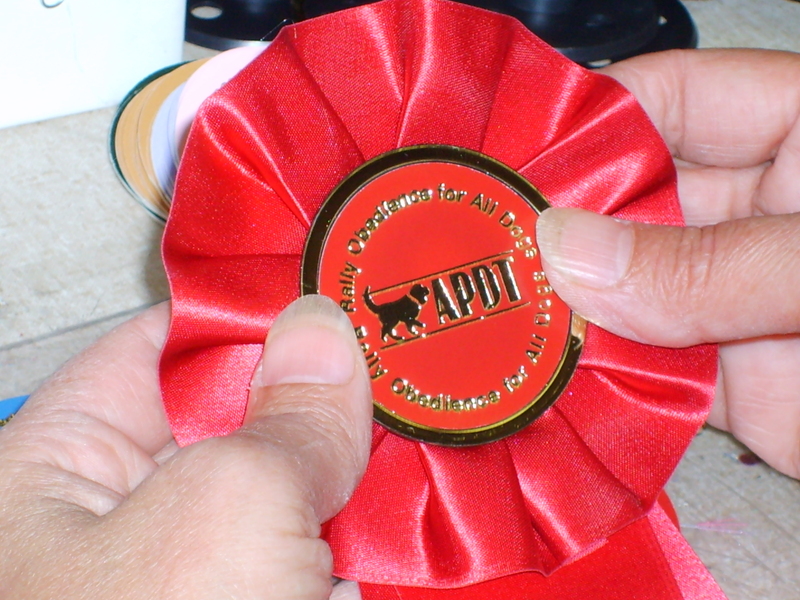 On my first factory tour, I remember being surprised at just how much labor was involved in creating our ribbons, rosettes, medals and other awards. Now I will get to be on the other side of the group, explaining how we hand-sew rosette tops, attach their centers, print on streamers, and assemble a finished product. Visitors should also see the laser engraver and digital printer used for multicolor ribbon in action. This entry was posted in Hodges Badge Company and tagged factory tour, hodges badge, NEMOA, New England Mail Order Association. Bookmark the permalink.